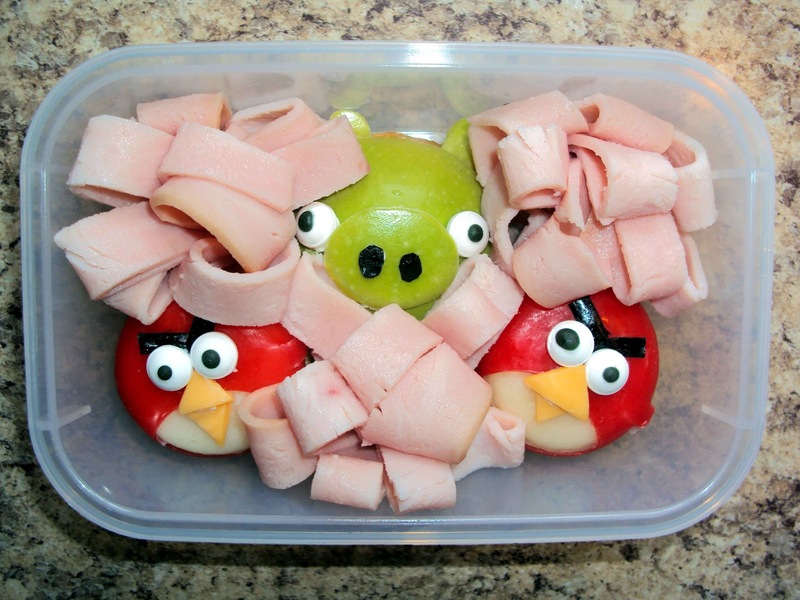 Turkey "Flowers" (for my carnivore daughter), Granny Smith Apple Bad Piggy (sitting on a Grammy Sammy), Babybel Cheese Angry Birds (sitting on Rice Crackers). The Jones family has finally entered the Tablet era with our recent purchase of the Kindle Fire. Just to see what all the hype was about, I went ahead and downloaded the app Angry Birds. While I'm more of a Fruit Ninja girl myself, Katy LOVES (!!!) Angry Birds! She would play it all the time if we let her. Now that I know what the game is all about, I see Angry Birds everywhere- promoting foods, Halloween costumes, toys.... 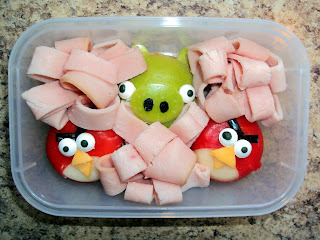 So, why not an Angry Birds (and Bad Piggy) bento box?! I believe Katy will be thrilled when she opens up her lunchbox at Preschool, tomorrow! "When I see Daddy, I give him hugs! And Kisses! Mommy, you going to be jealous, okay?!" Where, oh, where does she come up with these things?!?! It was a hot afternoon and Lil' Miss wanted a drink. 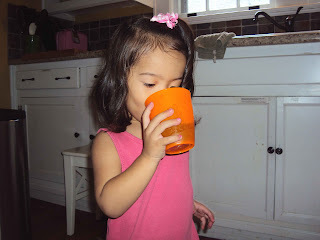 Normally, I don't let her use cups that don't have a lid- that's just another mess to clean up! However, we wanted to test out the new Nuby Fun Drinking Cup. So, I poured just a little bit of cranberry juice into it and handed it to Katy. She handled it perfectly and I'm happy to report, she didn't spill it. -The cup held just about enough liquid for a toddler. 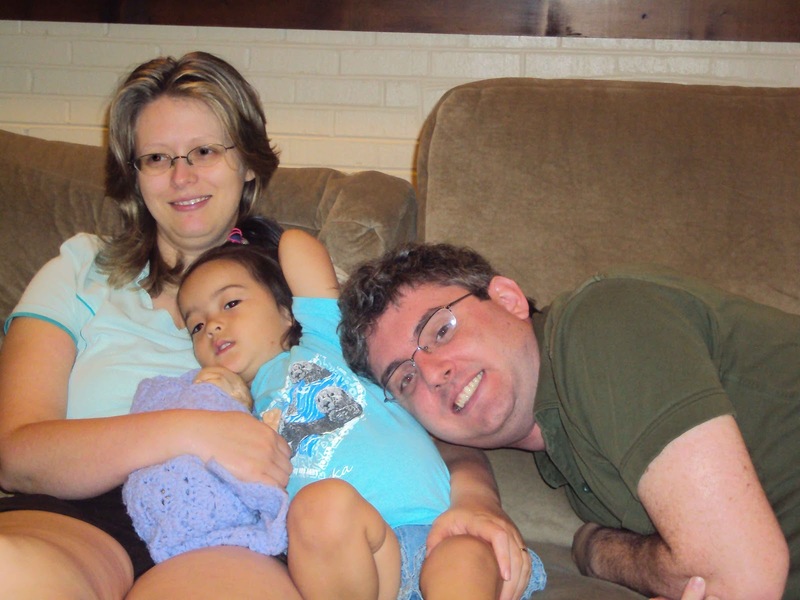 -The chubby shape of the cup was just right for Katy to grip and palm with one hand. Overall, a successful cup and easy transition between a lidded sippy cup and a regular adult glass. Flower-shaped pancakes, Flower-shaped ham and cheese, Enjoy Life Cocoa Loco bar (free of all major allergens- yay! 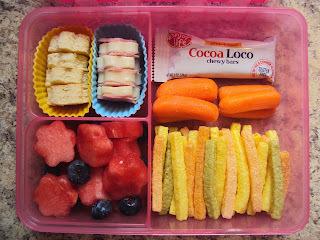 ), Carrot Sticks, Veggie Sticks, Flower-shaped Watermelon (by Lil' Miss' request) and Blueberries. 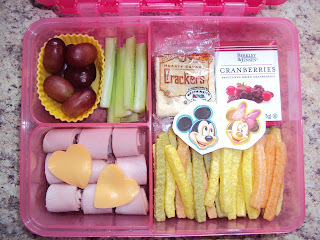 Here's a Preschool lunch I did for Lil' Miss. As I'm getting into the groove of packing her lunches three times a week, I'm learning what works and what doesn't. For example, she does better with bite-sized "nibbles," rather than a sandwich or one main entree. Also, having just one container to open is way easier on the teachers than sending Katy to school with multiple containers for her lunch (hence, the current obsession with bento boxes). a) Katy would get distracted by the other kids and everything going on that she'd forget to eat her own lunch and most of her lunch would come home with her. b) There wouldn't be enough TIME for Katy to eat her lunch. She tends to "graze" her way through a meal. c) Katy would "learn" to dislike certain foods just because her other, pickier classmates aren't as adventurous an eater as Katy. 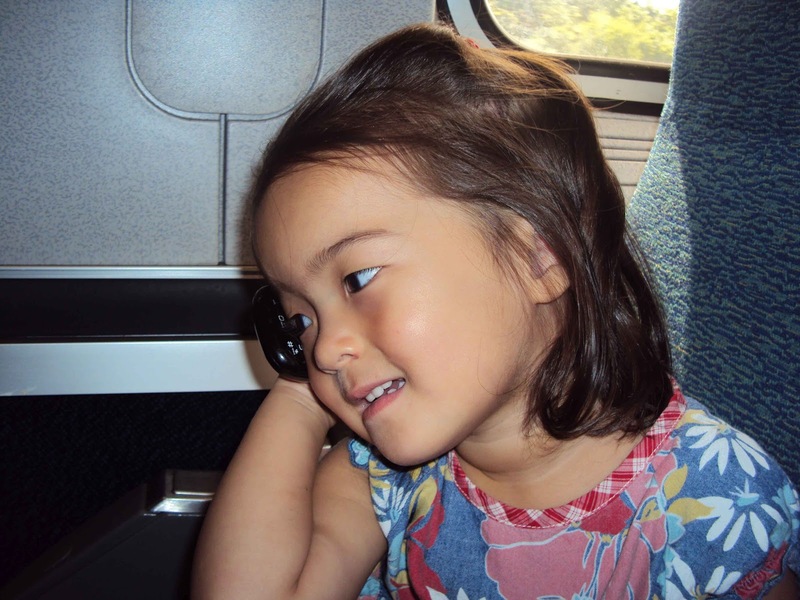 d) Most importantly, she'd get curious about other kids' food and try to "trade" for something she can't eat (think, "I'll trade you my fruit for your PB&J sandwich." Eeek!). Back to the pictured lunch.... Cookie cutters sure make things cuter and more fun to eat, don't you think? I try to include in every lunch; a grain, fruit, veggie (that's sometimes iffy with my veg-a-phobe daughter), dairy, protein and a "treat." She doesn't always eat everything but so far, she *typically* eats most of her lunch and at least *tries* the included vegetable. That's a-okay in my book! I can especially relate to the "Slow Poke" and the "Rod." "I love my new bed!" 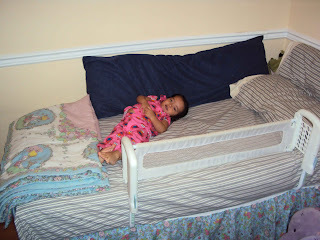 Some kids her age still sleep in their cribs, but not our Lil' Miss- she gets a double bed all to herself! Sweet Dreams! BTW, she's come a long way, don't you think? 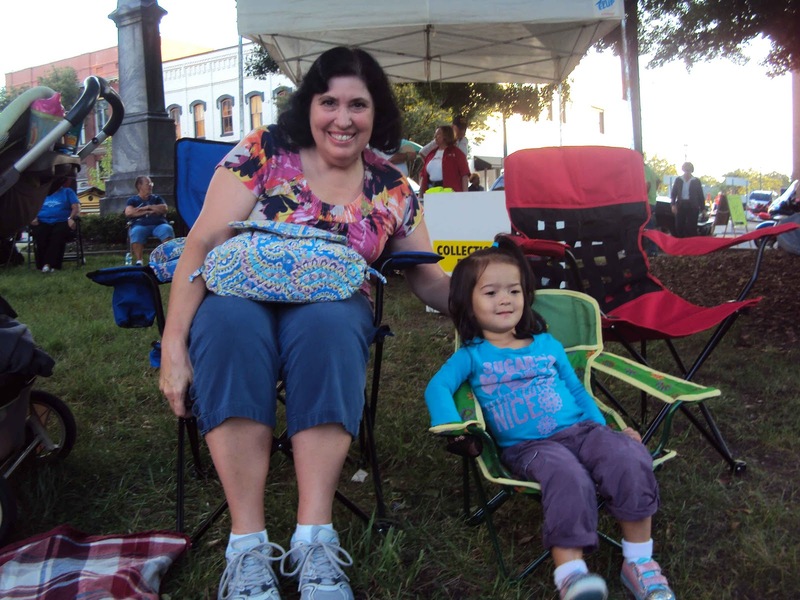 Enjoying the concert with Grandma Tinkey! My parents stopped for the night, last night, while on their way en route to my sister's house in Pittsburgh. We only got to visit with them for a little more than 12 hours, but we sure know how pack in some fun in a short amount of time! 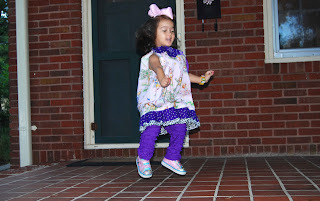 Katy had a ball dancing and grooving to the music. 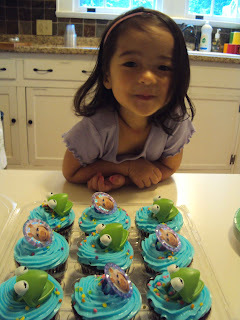 She got more than a few "awws" and "So cute!" from people walking by. She was in rare form, last night and her energy way outlasted ours! 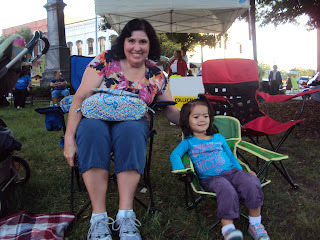 It was so nice to enjoy Union Street Live! without the added heat and bugs from the summer. We couldn't have asked for better weather- cool, no bugs, clear sky! We even managed to stay until after it got dark (a first!) before calling it a night. 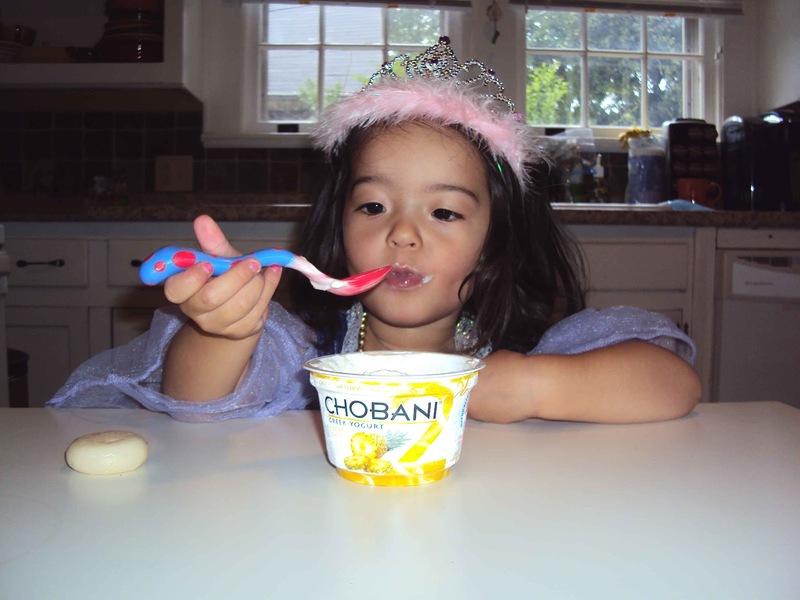 Lil' Miss decided to have some Greek Yogurt for a snack the other day. I figured it would be a good time to test out the Nuby Easy-Grip Fork and Spoon Starter Set. The spoon was soft and ergonomic. It fit well into her toddler hands. The well of the spoon is wide enough to scoop up a good-sized mouthful, but not so large that it's too much for the mouth. 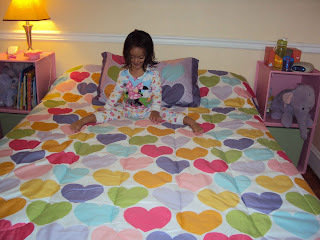 The colorful design was attractive and fun to use. Later, Katy tried out the matching fork with some cut up pieces of sausage. We didn't like the fork as much as the spoon. The tines of the fork didn't seem sharp enough to pierce the sausage so that she could pick it up. Instead, she ended up using the fork to scoop up bites. I'm sure the fork would be suitable for other, softer toddler foods, though. Overall, though, the Nuby Easy-Grip Fork and Spoon Starter Set is an easy transition between spoon feeding and regular adult utensils. 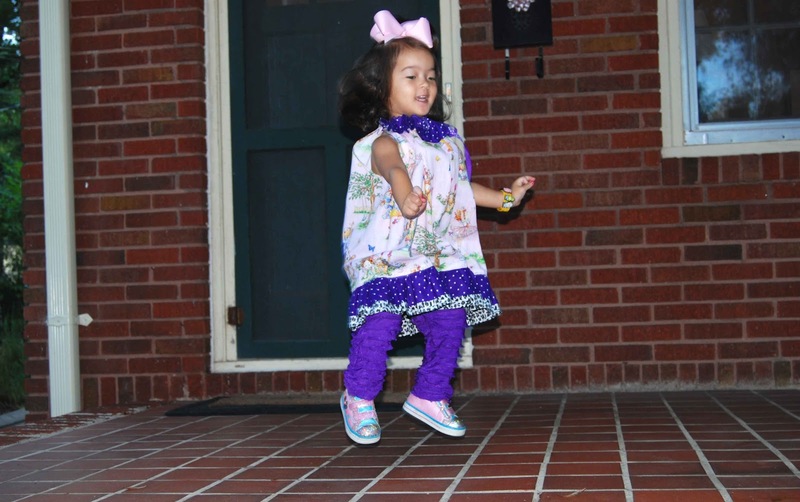 The only explanation we can come up with is that Katy is exposed to a lot more "speaking" in Preschool and her teacher, Ms. Kris, is a bit of a Southern gal, herself. It's so funny to hear a Southern drawl come out of Katy. I've been referred to as "Italian Korean" by my Mom's side of the family, so I guess Lil' Miss will now be our "Southern Korean!" Kermit Cupcakes for our Kermit! Happy Birthday, Ted!! Katy and I love you!! It you need an inspirational read, then Unstoppable should fit the bill perfectly! I've read Nick Vujicic's first book, Life Without Limits, and I expect his follow up book, Unstoppable to just as motivational. It was a soup and sandwich kind of night last night, so we broke out the Nuby Fun Feeding Plate for Lil' Miss to use. Her grilled cheese sandwich just fit onto the plate, so if I were to say anything negative about it, it would be that the size doesn't exactly match my daughter's healthy appetite. 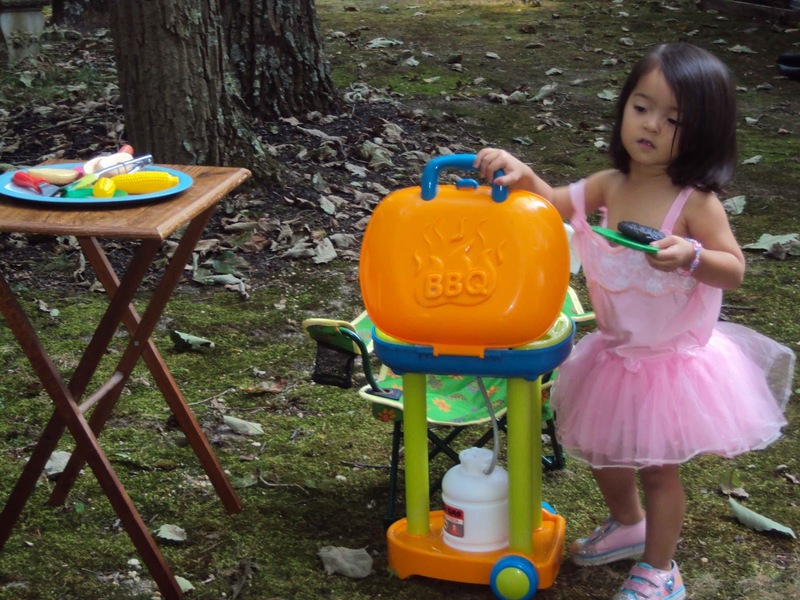 Otherwise, the plate is perfect for toddlers and preschoolers to handle and there is no worry of breakage. 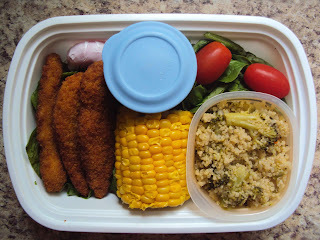 These plates would be great to use when our playgroup comes over- fun design, plastic (but BPA free! )- perfect for snacktime! Salt and Pepper Potato Sticks, Ham Flower, Carrots, Apple-shaped Cucumber slices, Apple Sauce, Apple-shaped mini Ham and Cheese Sandwiches, Apple Slices. 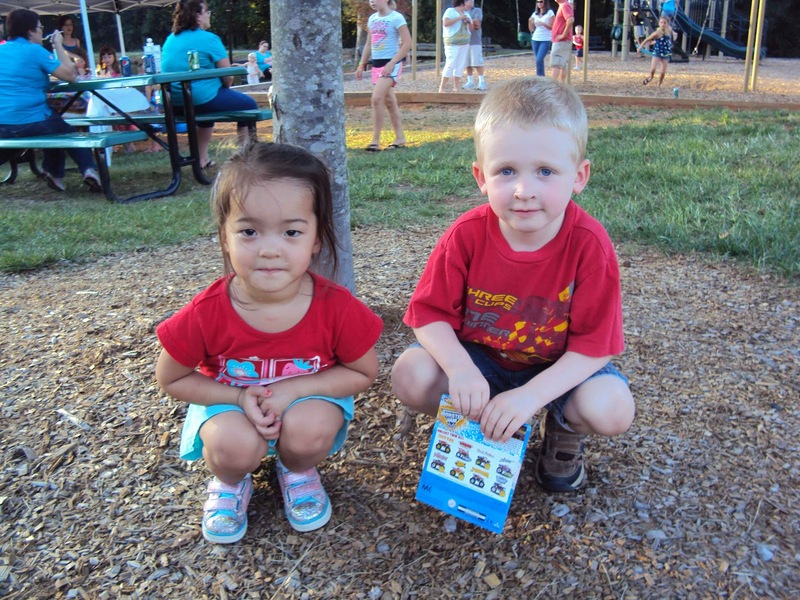 It's apple week at Preschool! So, I created an apple-licious meal in an apple-shaped container for Lil' Miss. She cried when I dropped her off, today, so hopefully this lunch will make her smile! Whole Wheat Chicken Strips, Babybel Cheese Wheel, BBQ Sauce (in blue container), Corn on the Cob, Quinoa Pilaf with Broccoli and Carrots, small Spinach Salad. 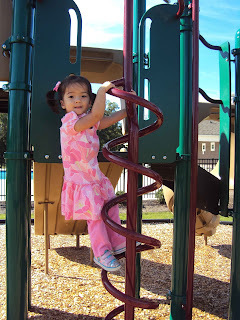 Mondays are preschool days around our house! 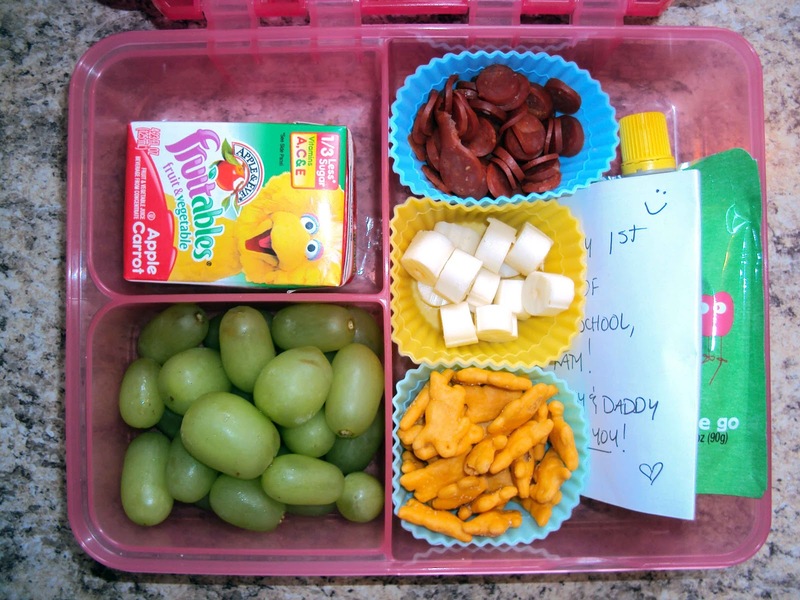 So, I packed this tasty lunch for Lil' Miss to enjoy at school. I stuck in some fun Mickey and Minnie stickers to make it more interesting (what two-year old doesn't like stickers?!). 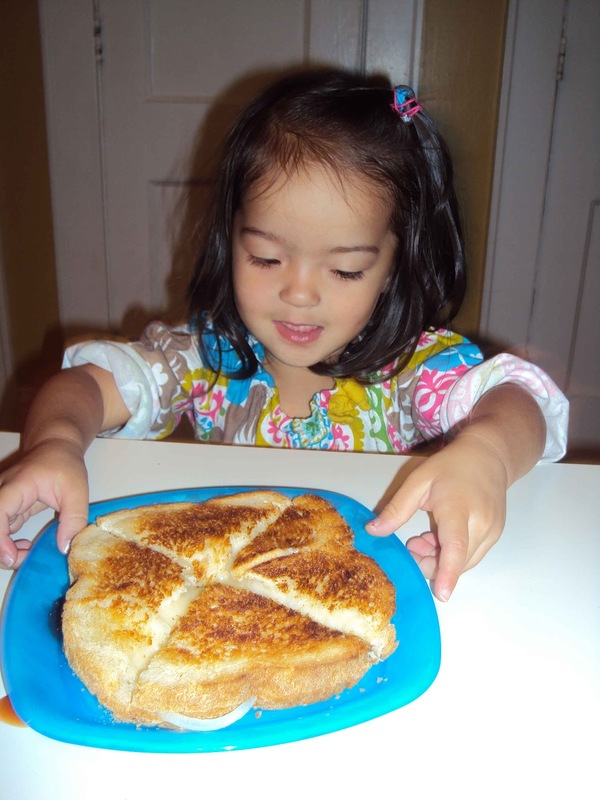 So, in conclusion, Preschool has just reinforced her love of food and something to do with sharing/not sharing. The other night, I was in the kitchen, cleaning up after dinner. Katy was doing the same in her play kitchen. After a while, I noticed that she was being very quiet. 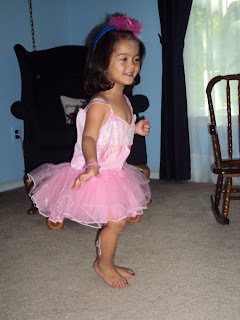 Suddenly, she comes running into the kitchen, grabs my arm and says, "Honey (yes, my two year old calls me "Honey")! Come here! Take a picture of my bento!" a) Katy definitely watches what I do and she mimics my every move. b) Perhaps I make too many bento boxes/muffin tin meals. My kid is going to grow up thinking that you have to make a meal, arrange it and take a picture of it before you can eat it. 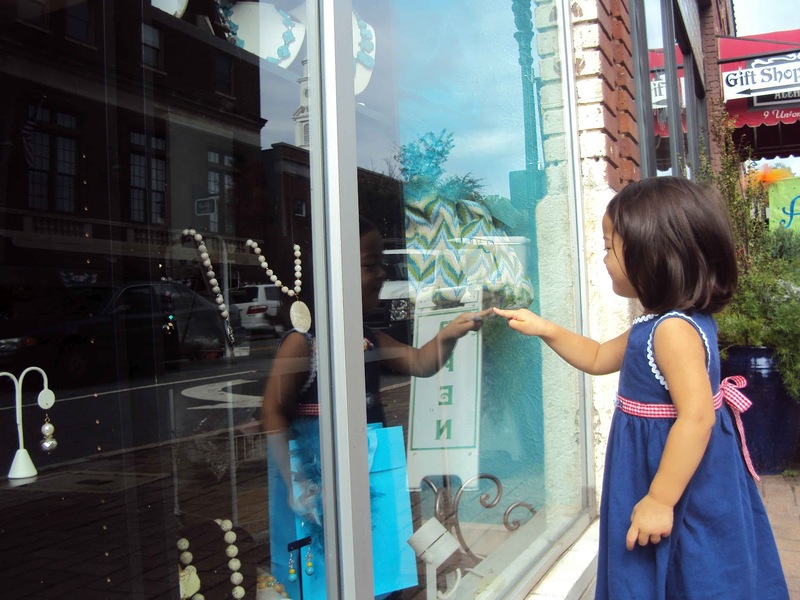 "There is this quaint little shop next to the library called 'The Bead Lady.'" 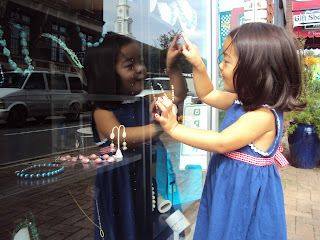 "It's all about jewelry and beads and all things glittery and bling! I love it!" "Oooh, I like that pink necklace! "No, wait- I definitely think that blue one will match my dress better (Katy actually said that)." Today at storytime, the librarian was reading a book about hot dogs (the theme of the day was "fair" in honor of the Cabarrus County Fair, now going on). Before reading the book, she asked the children, "Who likes hot dogs?" Loud and clear, Katy shouted out, "Steak is better!" Who says that only kids get all the fun lunches?! 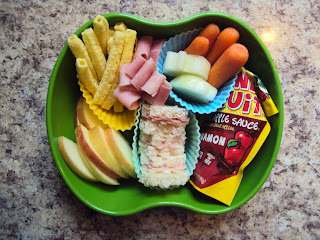 Here is Bento Box #2- this time for Ted. He's a frog lover- especially, Kermit the Frog. So, I thought I'd create a fun, healthy, frog lunch for him. In it, he has a cream cheese pumpernickel sandwich with an American cheese frog cut out, on top. I did two turkey "flowers" for some protein and added lots of fruit and veggies to the box. I also included a fruit granola bar (cut in two). 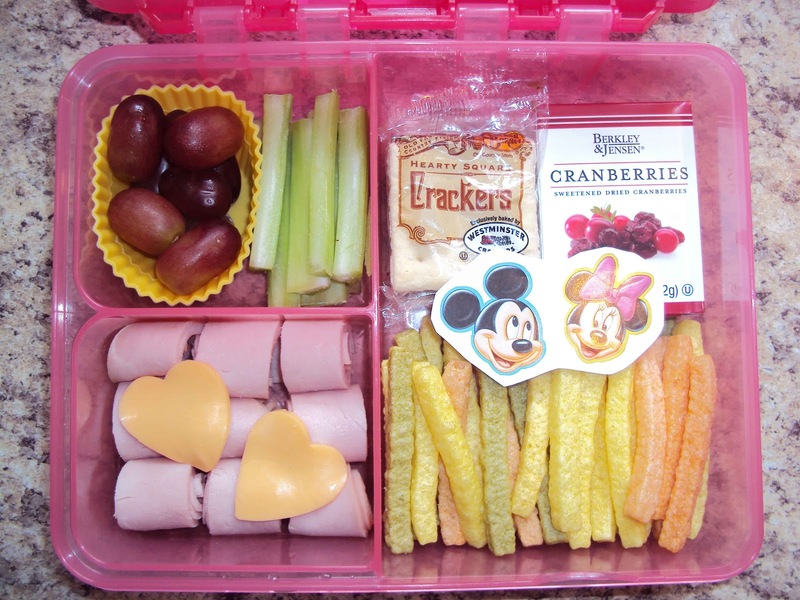 Lunch includes: Fruitables Apple/Carrot Juice Box, Mini Turkey Pepperoni, Sliced up Mozzarella Cheese Stick, Cheddar Bunnies, Apple/Peach Applesauce Pouch, Green Grapes and Fruit Snacks. 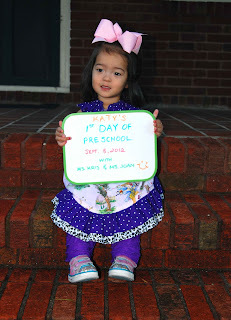 Lil' Miss started Preschool, last Wednesday. So, I made her a special MTM lunch (with a special note- never mind that she can't yet read!). Mange! 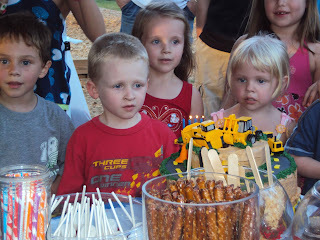 This upcoming week is "Farm Week" at Preschool. 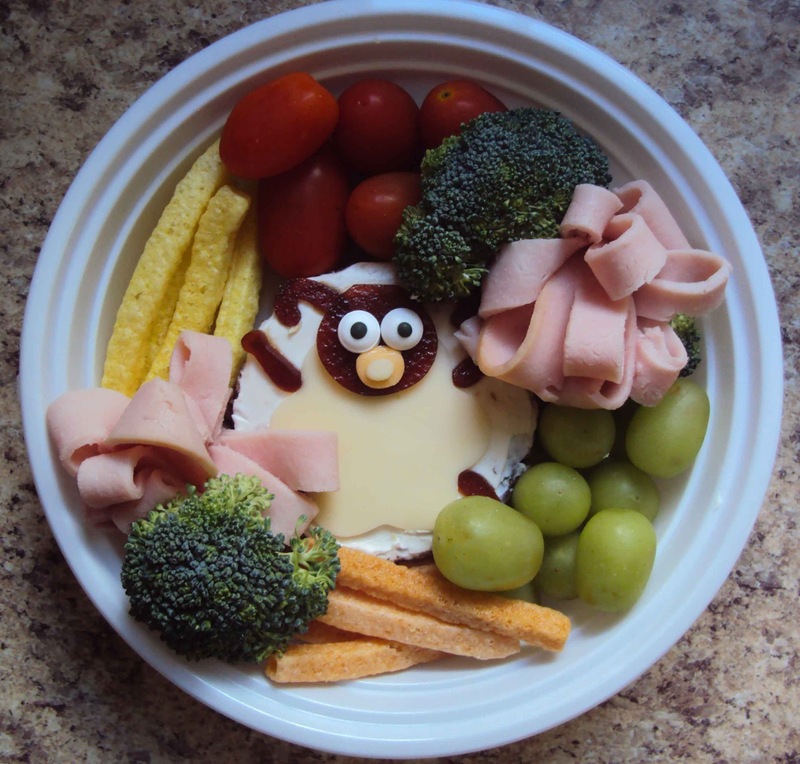 So, I thought I'd make Katy a special little lunch based on one of her favorite TV shows, Timmy Time. The show is centered around a curious little lamb and his adventures in Preschool- appropriate for our own Lil' Miss, don't you think? There isn't much talking in the show, but it's amusing and not as painful to watch as some other kids shows (say, Wonder Pets and Teletubbies). 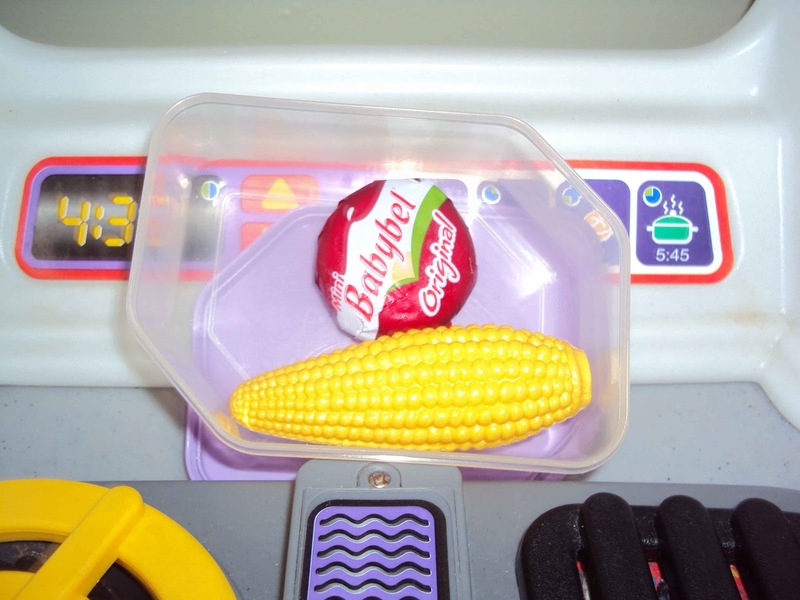 Since this was my first "real" bento box where I was cutting and shaping and creating a "scene," I wasn't sure how it would turn out. I'm pleased with the results, though. 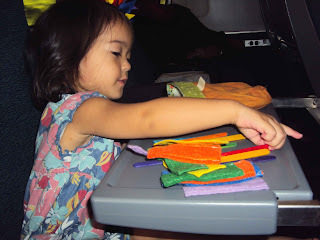 One of my main concerns was that this thing was going to take forever to create (what kind of crazy mother takes the time to cut sandwiches into cutesy shapes? This mother, that's who!) However, this lunch only took me about fifteen minutes to create from start to finish. First, I started with some pumpernickel bread (Katy approved, from Aldi's- yay!). I cut two circles out of the bread and spread some cream cheese and stacked them (think, bread, cream cheese, bread and cream cheese on top for the "palette"). Then, I used a fluted circle cookie cutter on a piece of Provolone cheese to create the body of the sheep. I took a Pomegranate Fruit Leather and cut out legs, head and ears using various mini alphabet cookie cutters. I used scraps of American Cheese and Provolone for the paci. I used cream cheese as a "glue" to stick all the body parts together. The eyes are candy eyes found in the cake decorating section of our local craft store. 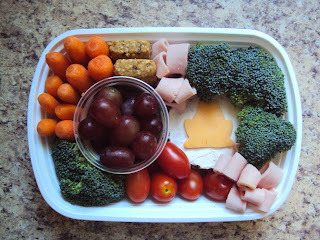 I created two turkey "flowers" to add some texture and protein to the bento box. 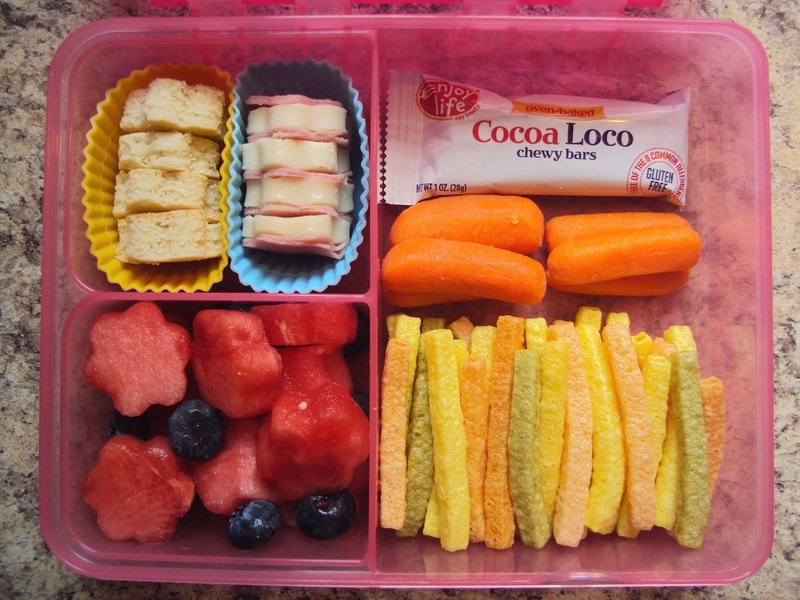 The bento box is rounded out by various fruits and veggies (grapes, tomatoes, broccoli and Veggie Sticks). I tried to pack them in pretty tight so that things won't shift in transport. Now, the real test will be to see if Katy eats it all! 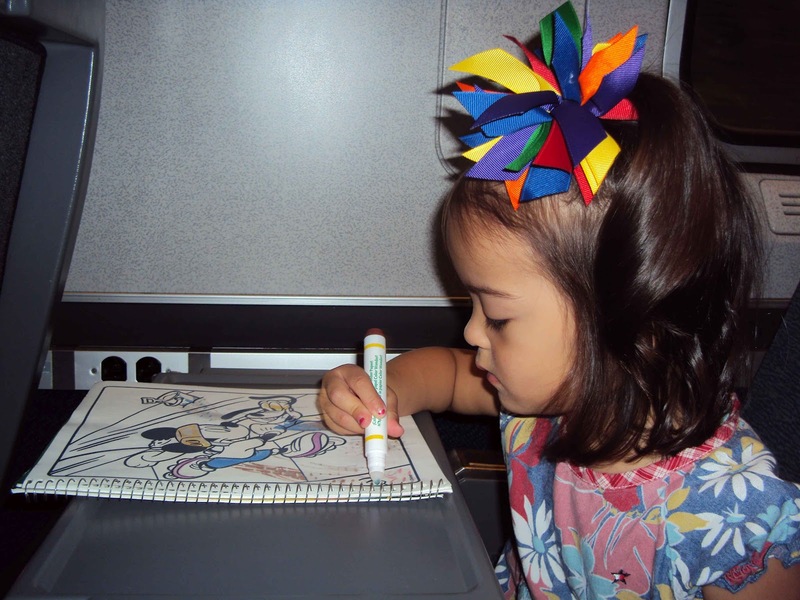 Teachers must hear the craziest things coming out of little ones' mouths! 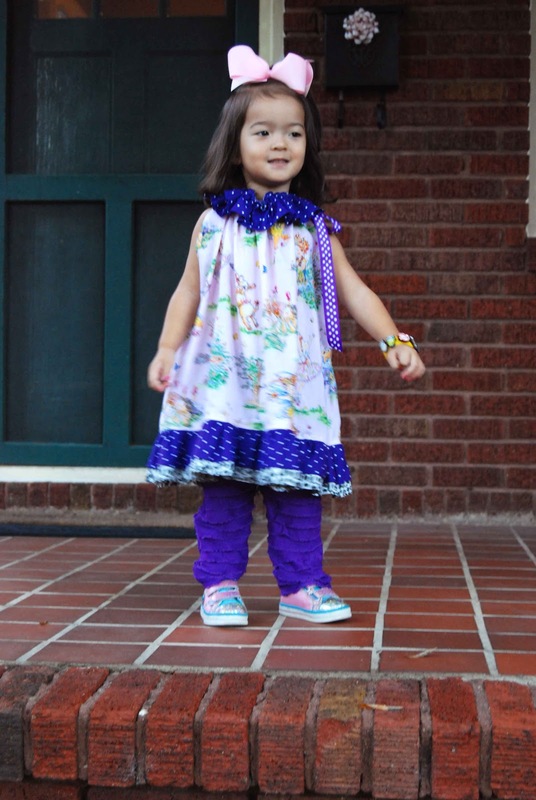 For example, on Katy's first day of Preschool, her teacher asked her, "I like your dress, Katy. Did your Mommy make it?" 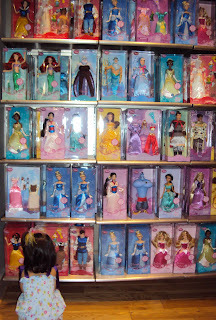 Katy replied, "No- I get it at Hobby Lobby" (the fabric store where I bought the fabric to sew her dress). And so it begins... the tall tales and not-quite right tellings and re-tellings of life through the eyes of Katy... that may make others question, scratch their heads or blush... you just never know...! Today was day two of Preschool. I dropped Lil' Miss off without incident and we were even able to walk to school since the weather cooperated. Got my exercise for the day! When I picked Lil' Miss up, I asked how she did. She was smiling, sitting with the other children and in the same clothes that she came in (I consider that a win!). 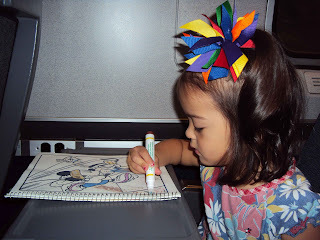 The teacher, Ms. Kris, hesitated and then said that Katy did, "alright." 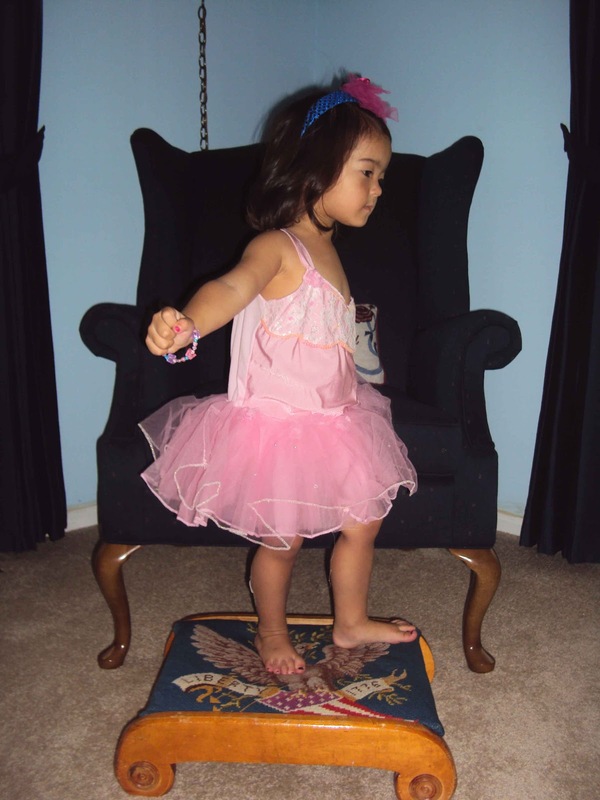 I pried, and found out that when it came time to recite the Pledge of Allegiance (which, I'm told they do every day), Katy refused to stand up, sat in the corner, folded her arms in protest and did NOT want to have anything to do with the Pledge! Since they can't technically FORCE her to say it, they let her be. It was a slight disruption to the class as a whole, though. I guess Katy was just exercising her rights as an American citizen to freedom of religion, freedom of speech, due process, and equal protection....?! Other than that, Katy did great, today! I'm told that she played and sang and participated in other group activities. She even used the potty appropriately. She ate almost all of her packed lunch, too! When I asked her what she did today, she told me, "I play with Addyson. She a girl. We no play with boys." Does it really start this young?! Lil' Miss has been such a big girl, lately- going and having fun at Preschool, using the potty appropriately and minding her manners. So, as a special treat the other night, we had Movie Night. We popped in Shrek 2 and ate some ice cream. Katy enjoyed her ice cream in the Nûby™ Fun Feeding™ Bowl. Plastic and not breakable, it was the perfect bowl for little hands to use while sitting on the sofa (a special treat since we don't usually let her eat in the living room!). While, I wouldn't say that the bowl has any special, differentiating features, it served it's purpose and was easy for Lil' Miss to hold onto and use. Katy likes to play around in the bath. She is very imaginative and will pretend to play everything and anything from "Starbucks" to "Big Boat" and anything in between. Tonight while in the bath, she was pretending to "drink" a little travel shampoo container (thanks, Mom!) full of water. She told us she was drinking "Mountain Doodle." Also, while in the tub tonight, Katy was pretending to make meatballs. She was even very particular in how to roll them and wet your hands with olive oil, first.Yep- she's Italian! While going for a walk this afternoon, a bee crossed our path. Katy isn't too fond of bugs. She exclaimed, "Oh no- a gumble bee!" When I corrected her and tried to emphasize the "B" sound at the beginning of "Bumble", she replied, "Baaa-Gumble Bee." "Kermit the Frog Backpack- check! 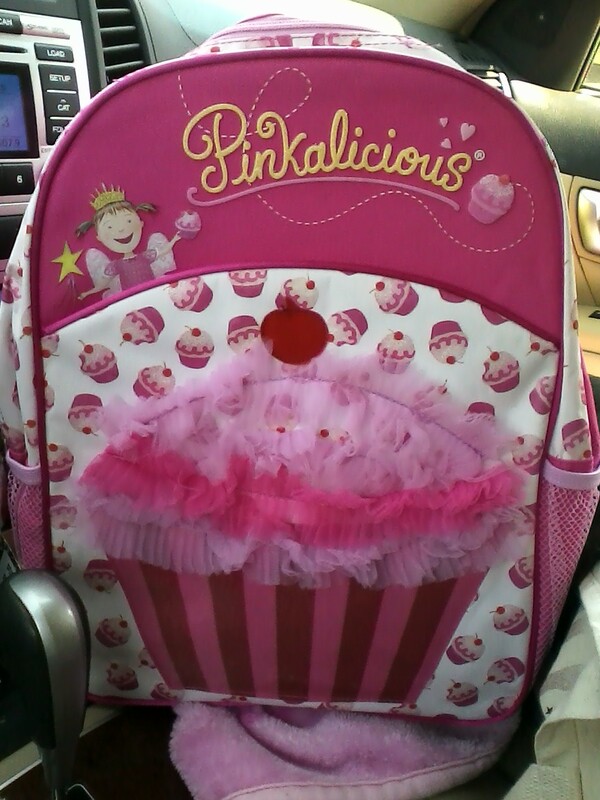 Fancy Nancy Lunchbox- check! 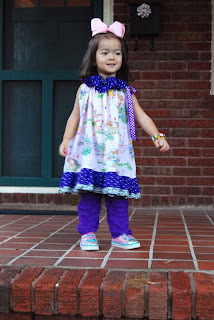 Fancy Nancy Dress for our Fancy Katy- Check! Sock and Sneakers- check! I'm ready for Preschool!" 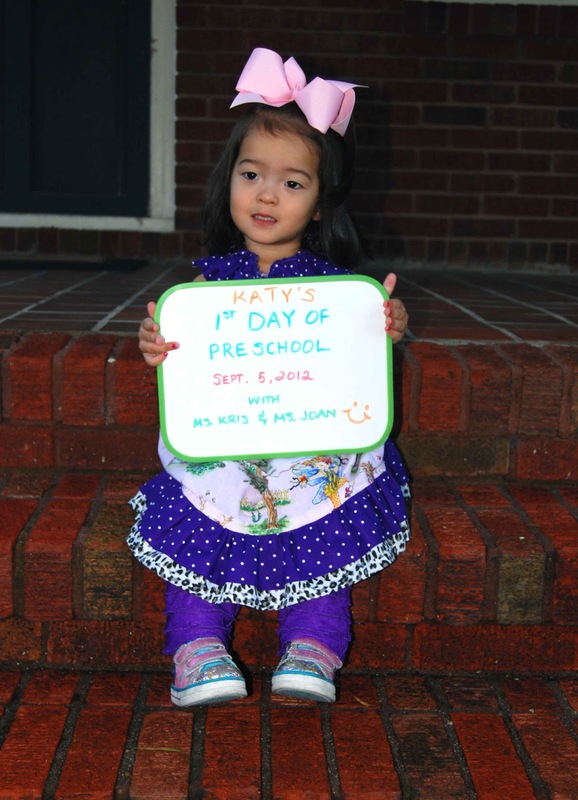 Today was Katy's first day of Preschool!! She woke up on her own, right on time, excited for the day! We got her fed and dressed well before it was time to leave. Ted decided to go into work a little later, today, so that he could see her off. 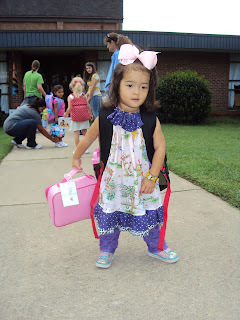 When we got to the school, Katy was excited to go inside and not one tear was shed (hers or mine!) during drop off. "Daddy go get towel- you're a mess!" Bossy little thing, isn't she?! 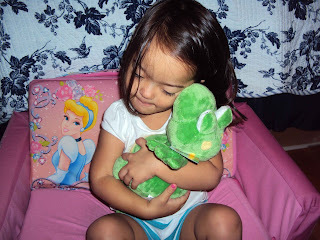 We love frogs in this family and the Nuby Tickle Toes Frog is no exception. This soft, cuddly stuffed animal giggles when you press it's toes. The giggle isn't *too* annoying and it certainly elicits some smiles from little ones! 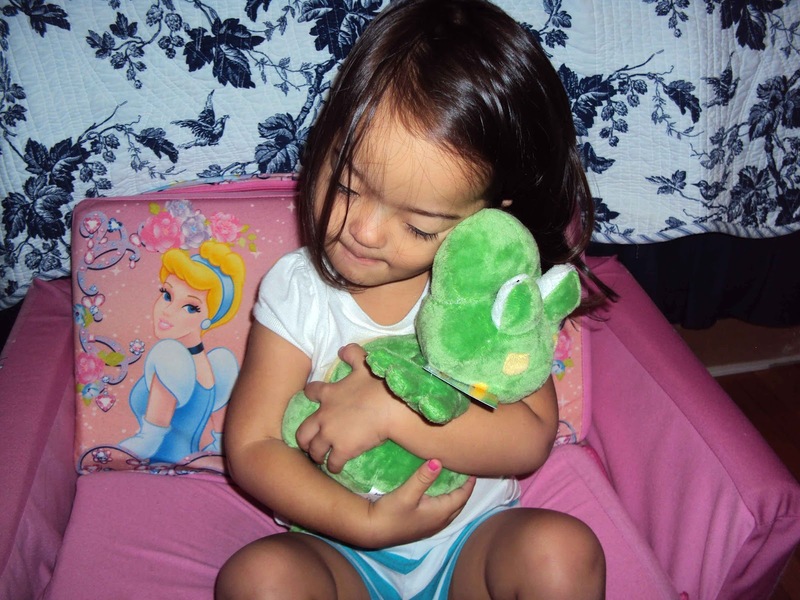 Perfectly sized to fit into toddler arms, this frog is portable and snuggly. "Nana got me this pretty ballerina tutu to play dress up. I love playing dress up!" "I love the color pink!" "A good ballerina always remembers to stretch before dancing!" 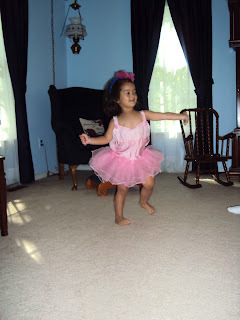 "Dancing Queen... young and free...!" Storytime at the same library Daddy used to go to. 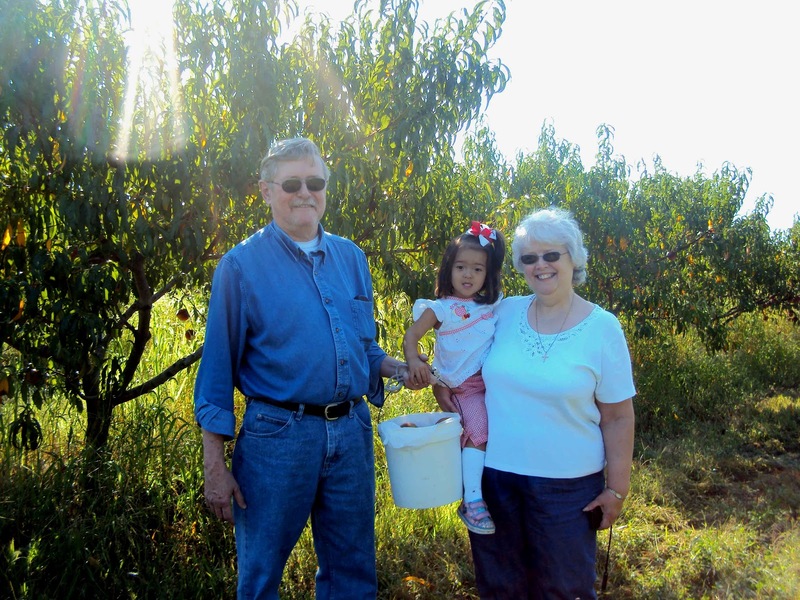 Peach Picking with the grandparents! 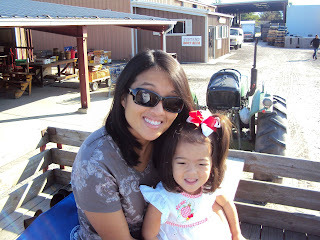 Proof that I actually rode the wagon and went to the farm! 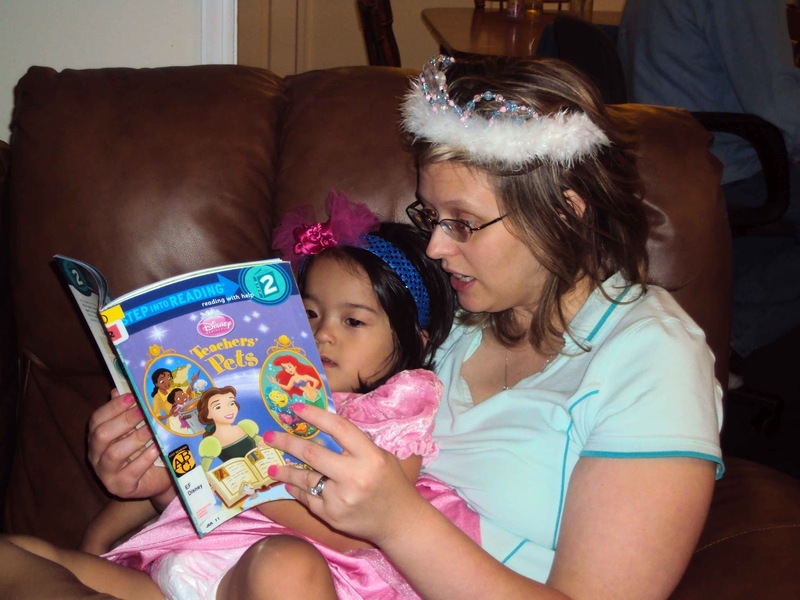 Princess storytime with Aunt Megan. Hugs for Aunt Megan and a quick pic. 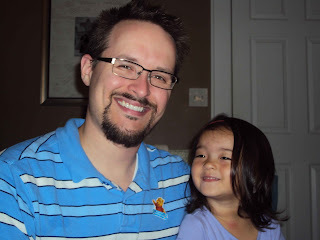 with Uncle Jason. Katy and I visited Ted's parents, last week. We took the train up and Nana and PopPop were waiting to pick us up from the train station in Philly. The train ride was a long one- twelve hours- and Katy did pretty well. 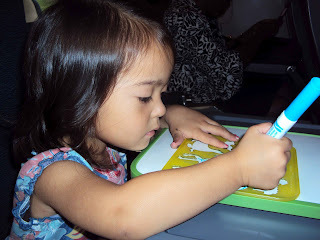 I made sure to bring along lots to entertain her- some new Fancy Nancy books, coloring, felt board, snacks upon snacks.... Katy even managed to take a two-hour nap along the way! Of course, once we arrived at our final destination, Katy was more than a little eager to get off and run around! On the ride home from the train station, we stopped at Katy's favorite place to eat, Chick-Fil-A. Our first full day in New Jersey was a full one. 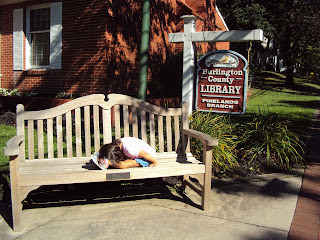 First, we went to the library for storytime. We went to the same library that Ted used to go to as a kid. Katy loved checking out the new computers and books. We even managed to find some new (to us) Fancy Nancy books that we checked out under PopPop's library card. 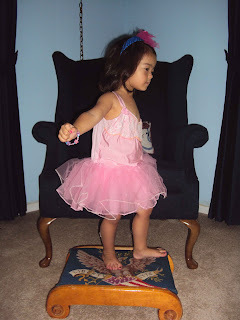 Storytime was all about dancing! 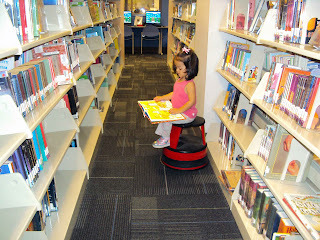 While Katy was too shy to participate during the actual storytime, she was singing and dancing and telling us about the books the librarian read, long afterwards. After the library, we did a little grocery shopping. Nana had a little grocery cart just Katy's size that we took along. 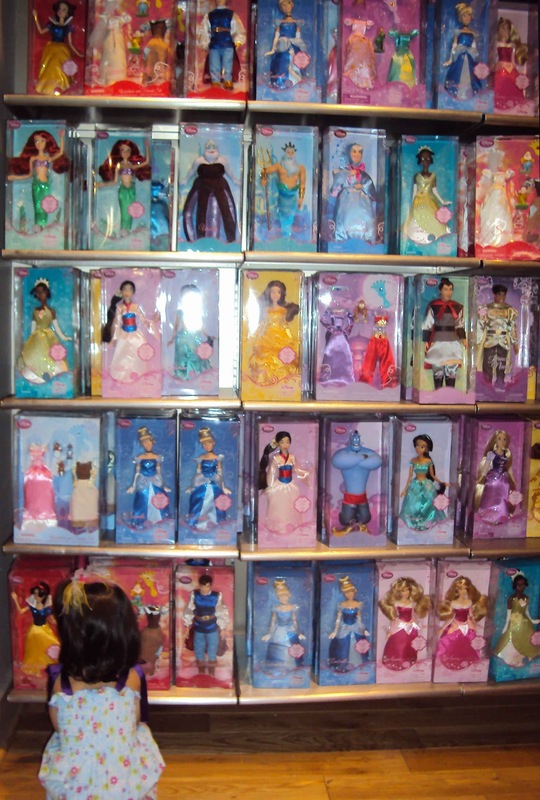 While PopPop got the essentials, Katy did a little "shopping" of her own. She got more than a few "awws" and "how cute!" from fellow shoppers. After dinner, we drove 35 minutes for a special treat- Sweet Frog! 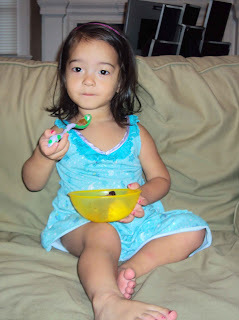 Katy had watermelon sorbet with her usual toppings- gummies and cherries and poppers! That evening, we celebrated PopPop Jones' birthday! 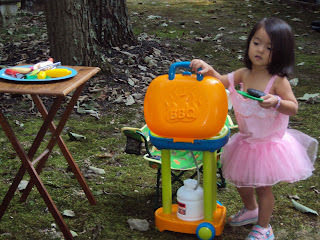 We grilled out steak and had ice cream sundaes to celebrate! Katy was so tired from the day's festivities that she practically fell asleep in her meal and took a little power nap. Of course, she's not one to miss out on ice cream, so she managed to wake up just in time to make a chocolate sundae and sing happy birthday! We were so happy to be able to celebrate with PopPop in person- Happy Birthday!! 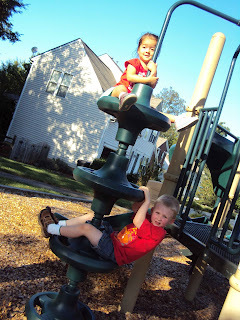 On Friday, we went over to Aunt Megan and Uncle Jason's for the day. Katy had fun exploring another house. She sweet-talked her way into watching Sleeping Beauty and enjoyed a hot dog and mac and cheese lunch. Katy had fun playing with Aunt Megan the whole visit (and Aunt Megan was a good sport)! Katy had Aunt Megan playing dress up and dancing and wearing a tiara. Somehow, she even managed to get Aunt Megan to paint her nails pink! 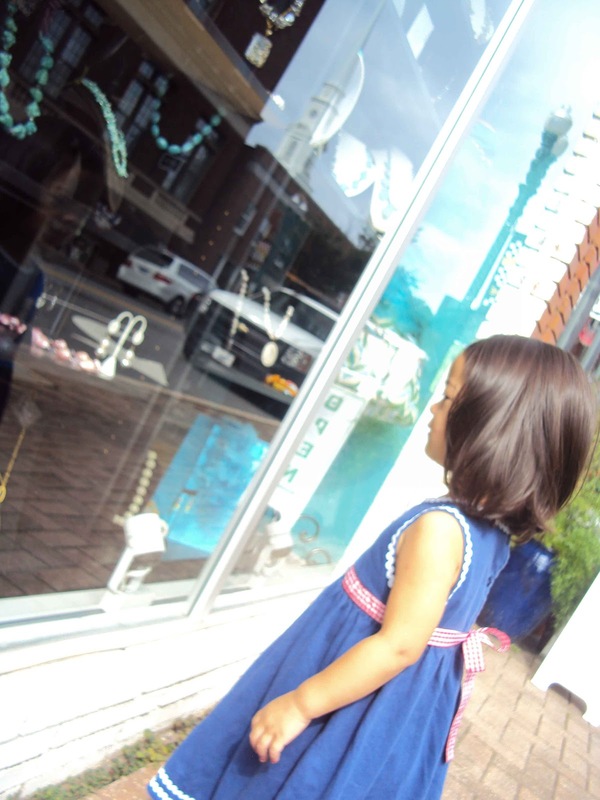 Katy had fun on our New Jersey visit! 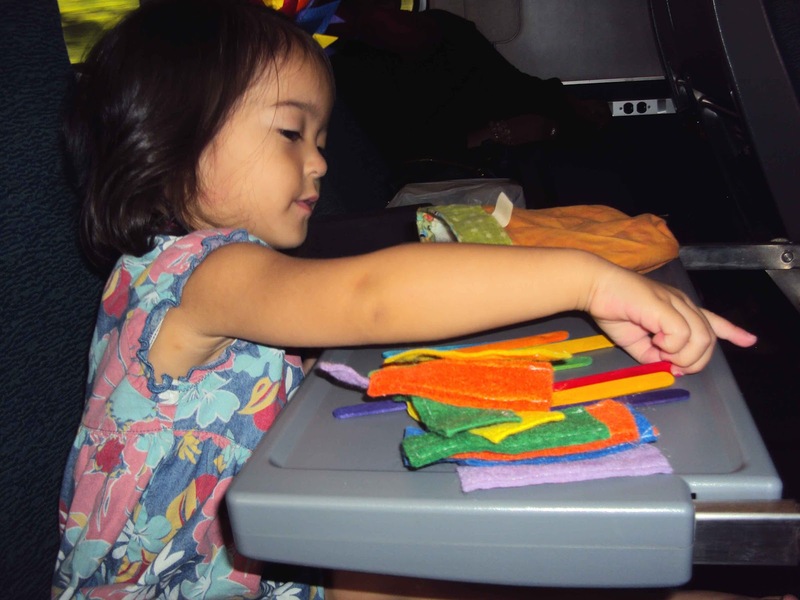 How do you entertain a toddler during a 12-hour train ride...? Add in some snacks, some new Fancy Nancy books and a nap and you are good to go!! 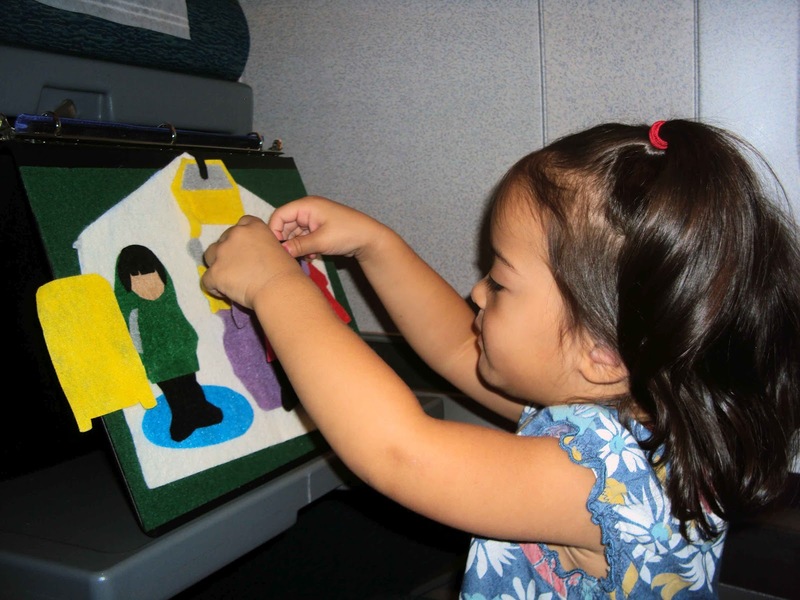 That is how you entertain a toddler on a train! !